You don’t need an academic degree to become an expert in the art and practice of photography. There are numerous resources on the internet, in shops or in libraries that can teach you everything you need to know about it. The rest is, of course, practice. The internet is full of forums, blogs, and websites where you can learn about photography and gather everyday inspiration. I myself have dedicated a great part of my website to share my experience with the aim of helping those who are just taking their first steps as photographers. To me personally, though, nothing can beat the feel of a well-designed photography book. We just tend to examine images deeper when we see them on paper. When we can touch them. The same applies to text – reading on paper is much more pleasing to the eye. And we also tend to read in a more focused way from a book where there are no hyperlinks or instant messages popping up on the screen. So I think books are an invaluable source of knowledge and inspiration for photographers. But in a market full of photography books it’s difficult to figure out where to start. That’s why I decided to offer you a list of titles that can be really beneficial to all of you who have taken the long but exciting way to become photographers. I have divided the books into three categories depending on their subject matter. This way you can easily pick the title you need the most at the current stage of your photographic journey. Many of these are also available as e-books if you really prefer digital over traditional media. 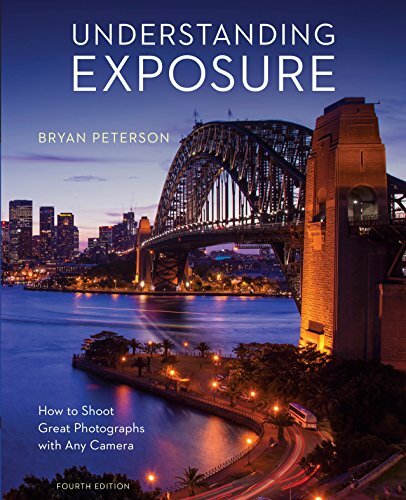 The iconic book by Bryan Peterson is a long-time companion to each aspiring photographer. In a very clear and detailed way, it introduces the reader to the concept of exposure. Here you’ll learn anything you will ever need on the topics of aperture, shutter speed, and light so that you can take full control of your camera and get the desired image in all kinds of circumstances. The latest fourth edition of this classic includes new information on using flash as well as tips on astrophotography. Peterson’s language is easy to understand which makes the book suitable not only to complete beginners but also to starting photographers for whom English is a second language. 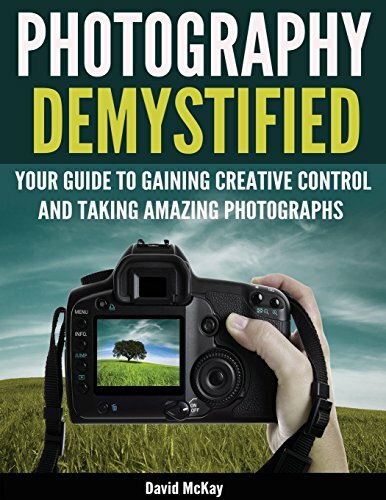 Photography Demystified: Your Guide to Gaining Creative Control and Taking Amazing Photographs! David McKay’s book is perfect for everyone who’s fascinated by the world of photography but also overwhelmed by all its technical aspects. It takes the reader on a journey from fully automatic to fully manual shooting mode with the goal of allowing him to turn the pictures in his head into reality. The book introduces the reader to all important photographic concepts such as aperture, shutter speed, and ISO, explaining the effects that can be achieved by each. Part of the book is also dedicated to composition as the most creative aspect of a photographer’s work. McKay’s goal is to teach the reader to take photos that are not just technically perfect but also have a unique feel. Light Science & Magic: An Introduction to Photographic Lighting is a comprehensive guide to understanding light in photography. It contains everything you will ever need to know about the physics of light and its creative use if you’re someone who wants to specialize in studio photography. The book is full of useful tips on how to photograph difficult objects such as glass, metal or textured surfaces. The latest fifth edition also contains an expanded chapter on taking powerful studio portraits. There’s also a list of trusted gear that would be of great help to photographers who are yet to equip their new studio. The language of the book might be difficult at times but if you really want to become an expert in studio photography, sticking to it is definitely worth it. 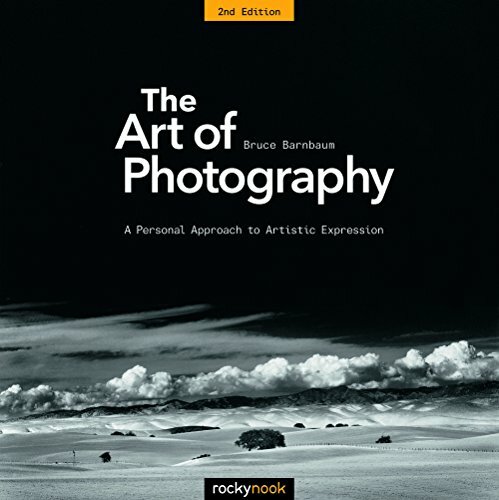 Bruce Barnbaum’s well-known book The Art of Photography: A Personal Approach to Artistic Expression takes the reader into a journey deep into the art of photography. What makes this title unique is that it goes from technical to philosophical smoothly and organically, emphasizing the importance of both aspects of photography. This book will help the beginning photographer to learn how to add his personal touch to the images he takes. It deals both with film and digital photography and includes a section on printing and presentation of the final photos. If you are ready to go deep into the philosophy of photography, then this book is for you. Its language will surely inspire you to get your work on a brand new and higher level. 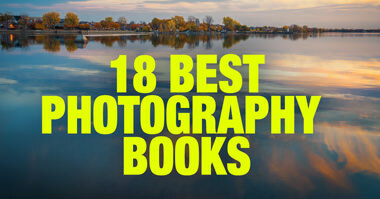 Another book by Bryan Peterson that just must be included in this list. The author shares his rich experience in composing photographs that strike the viewer. It proclaims that what makes a photograph unique is not so much its object of interest but the way the photographer has seen it himself. In this sense, even a simple object can make a stunning photograph. Peterson’s book gives us the tools to create such photographs, focusing on their composition. The latest edition of the book contains a section dedicated to color and its creative use in photography. Learning to See Creatively will help the beginning photographer to gain a new perspective on the world through the viewfinder of his camera. 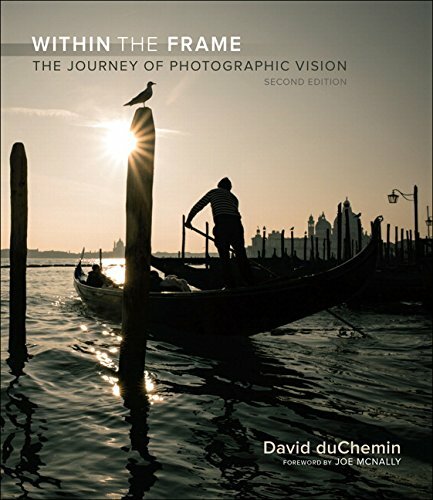 David duChemin’s iconic book is for all those who are looking for their unique photographic vision. The author helps the reader figure out what exactly he wants to tell with his images and then gives him useful tips on how to achieve and maintain that. Of course, the book discusses the technical aspect of photography too but its main goal is to make the starting photographer look deeper and think more before pressing the shutter button. DuChemin explores some of the most important tasks each photographer has such as finding the right location, approaching people for a portrait or telling a whole story with a single image. 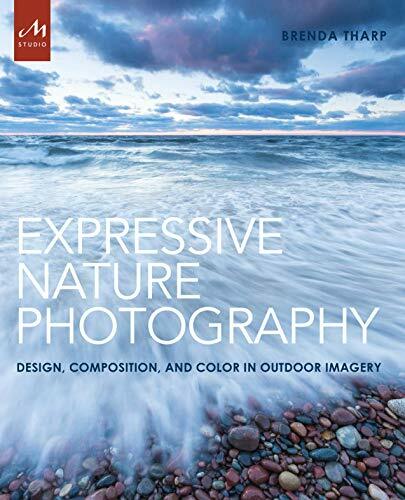 The newer edition of the book includes creative exercises, expanded chapters and new discussion and tips on landscape photography. Is the “photographer’s eye” something anyone can develop? 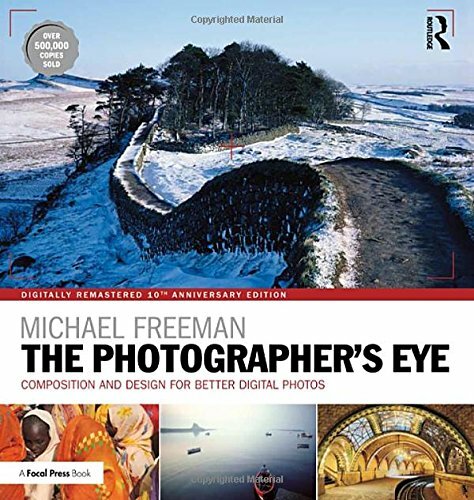 Michael Freeman argues that it is in his popular book The Photographer’s Eye which has already celebrated its tenth anniversary. The author dives deep into composition – perhaps the most important aspect of photography altogether. The book will teach you how to look for interesting objects and figure out when it is the “decisive moment” to press the shutter button. The author presents successions of photos, explaining what makes just one of them better than all the rest. 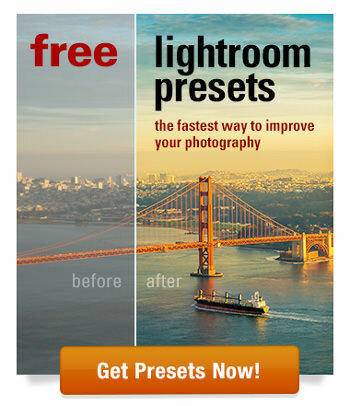 This is something that can help every photographer not only during the final selection of images but also before actually shooting them. 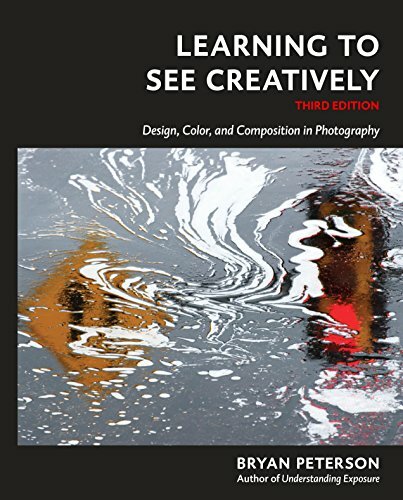 Dedicated specifically to digital photography, the book discusses in detail purely digital techniques such as HDR or stitching. Brenda Tharp’s book is the ultimate guide to everyone whose desire is to explore the outdoors with his camera. It uses the author’s rich portfolio of outstanding nature images to give clear and useful tips on shooting all kinds of objects a photographer can come across outside. You’ll find directions on how to shoot the stars at night, create really long exposures using filters or capture fast-moving objects. Tharp also invites the reader to sometimes break the rules in order to achieve a more interesting or emotive composition. A section of the book is dedicated to the art of “visual flow” – the deliberate arrangement of elements in a way that naturally draws the eye of the viewer to the object of interest. While giving detailed technical information, the book is all about infusing our landscape photographs with more than just “truth” but mostly with emotion. 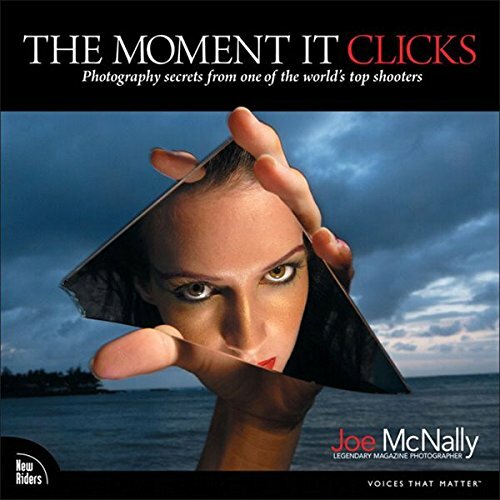 Joe McNally is a well-known name in the photographic industry and this book is a gift to everyone who’s taking his first steps in the trade. The book contains tons of useful tips and “behind the scenes” information that will teach you a lot about composition, the creative use of lights or the effects you can achieve with various types of equipment. McNally’s language and the style of this book make it both light and informative. While it requires a certain level of experience and knowledge, it’s written in a very positive way that will make even the ultimate beginner feel welcome “to the club”. This way it inspires and motivates rather than mystifies the process of taking great photographs. With a specific focus on using light, this book is for all who want to learn how to take great portraits, inside or in the outdoors. Imagine you could sit down with an established photographer and talk about your shared passion until all your questions are answered. This is exactly the feeling Zack Arias’s book gives you. 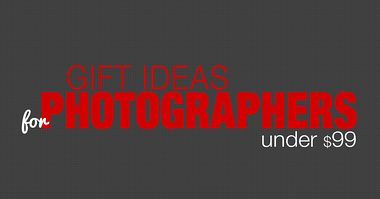 It will answer all your queries about the practice and business of photography and much more. The book will not give you detailed explanations on how to shoot a specific photograph. It will, however, “fill all the gaps” in the knowledge and experience you’ve had so far. In this sense, it is not suitable for a perfect beginner but is definitely something you will want in your collection of books later on. 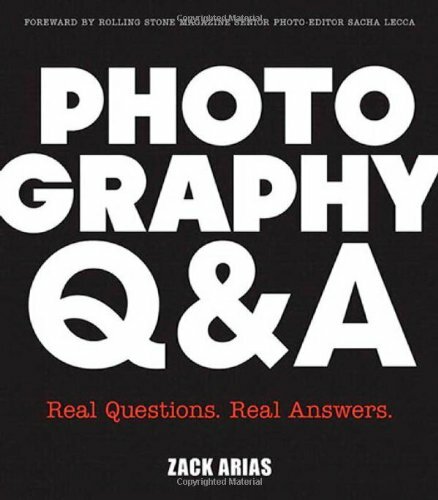 Arias’s answers are straightforward but their tone is always supportive and ultimately motivating, so even a photographer who is just starting will not be discouraged by all the problems discussed there. On the contrary, he’ll learn invaluable things that, if he’s willing enough, might change the quality of his work forever. Now that you know where to gather knowledge and inspiration, all you need to do is pick the title that speaks to you the most. The most important thing is to try and test everything you’ve learned as soon as possible. This is by no means a comprehensive list of titles. Photography is a journey that takes a lifetime and that will always teach you something new. That’s why, even after all those years of experience, I am still curious and excited and inspired to do photography. And I very much hope you will be either.